(CBS/WCBS/AP) OAK BEACH, N.Y. - Investigators returned Tuesday to the remote stretch of beach on New York's Long Island where they found three additional sets of human remains Monday, bringing the total number of bodies found in the area to eight. However, rainy, blustery weather has been hampering the search. 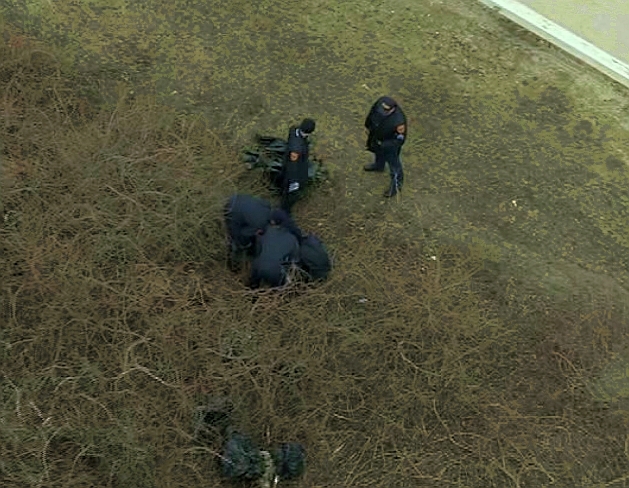 Suffolk County Police were combing the woods along Gilgo and Oak Beaches, concerned that there may be more victims hidden in the tangle of thick underbrush. The new remains are in addition to the remains of a victim found in the area last week, about 45 miles east of New York City. That victim has not been identified, and police have not positively connected those remains to the bodies of four prostitutes found nearby in December. Police discovered the bodies while searching for 24-year-old Shannan Gilbert, who went missing in May in the area, and are investigating whether any of the newly-discovered remains are hers. "The medical examiner is going to be looking at the possibility that Shannan Gilbert is one of the remains," Suffolk County Police Commissioner Richard Dormer said. "We do have forensic and information available to the ME that would either prove it's her or eliminate her." The search for Gilbert is expected to resume Tuesday. Gilbert, like the other women whose remains have been identified, reportedly advertised as a prostitute on Craigslist.